Geese was one of many wood sculptures carved by Mark Harvey, which were erected round the town to provide play for children. Many have rotted in time, and have not been replaced. 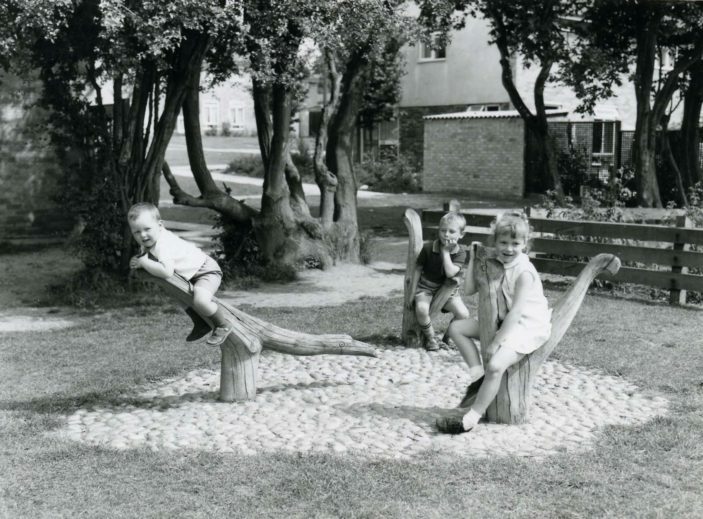 This one, pictured in 1962, was sited in Bandley Hill Valley Park.